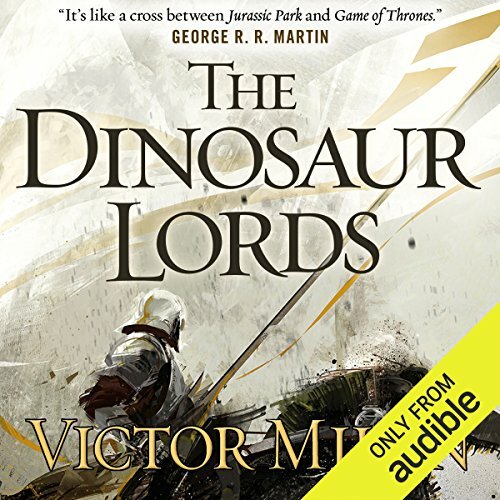 Thus we are plunged into Victor Milán's splendidly weird world of The Dinosaur Lords, a place that for all purposes mirrors 14th-century Europe with its dynastic rivalries, religious wars, and byzantine politics...except the weapons of choice are dinosaurs. Where vast armies of dinosaur-mounted knights engage in battle. During the course of one of these epic battles, the enigmatic mercenary Dinosaur Lord Karyl Bogomirsky is defeated through betrayal and left for dead. He wakes, naked, wounded, partially amnesiac - and hunted. And embarks upon a journey that will shake his world. 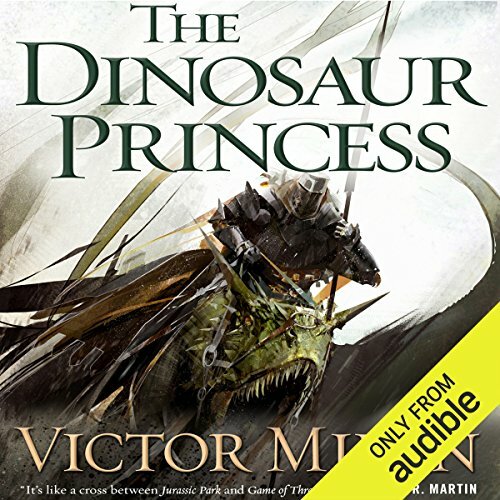 ©2015 Victor Milán (P)2015 Audible, Inc.
Just the dinosaur epic I was hoping for! Paradise is a sprawling, diverse, often cruel world. There are humans on Paradise, but dinosaurs predominate: wildlife, monsters, beasts of burden and of war. 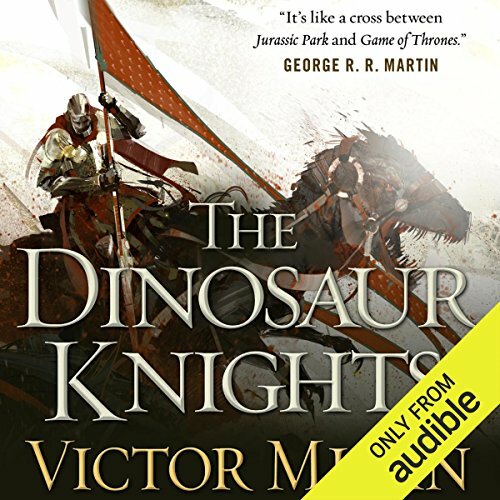 Armored knights ride dinosaurs to battle legions of war-trained Triceratops and their upstart peasant crews. Karyl Bogomirsky is one such knight who has chosen to rally those who seek a way from the path of war and madness. Welcome to paradise: A primordial world with every species of dinosaur, large and small. And humans who were brought to this world on the whim of the gods. Knights ride into battle on Triceratops; their heroes lead them on T-Rexes. Karyl Bogomirskiy is one such hero. Once, he held power. Betrayed by those closest to him, he was resurrected by the Fae, magical beings native to the world, who seek to use him in their eternal battle against alien gods. Karyl just wants to be left in peace, reluctant to be anyone's tool, much less a savior.